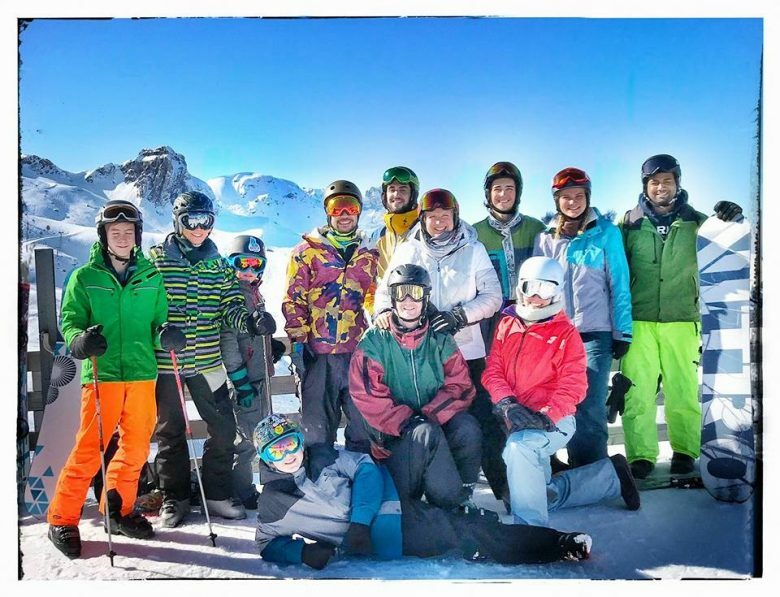 The traditional Challengers Ski Day took place on Saturday, February 24 as usual in magnificent weather. As many as 15 Challengers enjoyed the sun and the snow at Flumserberge. When the event will develop further as it did so far, the Challengers will soon have to discuss about the formation of a ski and snowboard section. Anyway the name for the project would already exist. The table at the restaurant Prodalp was reserved for “challenge RS”. Former Challengers player Chris Hardy visited the Heerenschürli ballpark during his trip to Europe with his family. The Challengers veterans lined up a team to honor Hardy in a friendly game against the Zürich Eighters on Monday night. Amongst the players were former Challengers greats as Gustavo Salami, Thomas Landis, Armin Blickenstorfer, Manuel Schretzmann or Pierre and Roger Burger. In his first game since 2005 Hardy, who works as a biologist and teacher in Maryland, delivered two hits. He played from 2002 till 2004 for the Challengers and hit .349 in 33 games for the NLA-Team, winning the Swiss championship twice. From Monday, July 10 till Saturday, July 15 the first U18 European Championship Qualifier Tournament in Switzerland will take place at the Heerenschürli ballpark. It will be the second international Championship Tournament that will take place at the Heerenschürli after the Seniors European Championship Qualifier Tournament in 2013. The Swiss U18 Nationalteam will play the teams from Belgium, Ireland, Poland and Russia. The Qualification Round will last from Monday to Friday with two games each day, the final game between the 1st and 2nd placed teams will be played on Saturday at noon. For further informations please check the Tournament’s Website. On Saturday, July 1 the NLB-Team will host the Hünenberg Unicorns at 11.00 am and 2.00 pm at the Heerenschürli ballpark in a fight for 1st place between the best two NLB teams in 2017. Both teams lost only one game in 2017, as they split in their first double header in May. And at 6.00 pm there will take place the second NLA nightgame between the Challengers and the Barracudas. The Challengers 2017 season will start with a Home Opener against the Luzern Eagles on Saturday, April 22 at the Heerenschürli ballpark. The team of head coach Robert Sedin added several players to their 2017 roster. The debut of pitcher Sandy Patrone in a Challengers uniform is particularly exciting. The Dominican played 13 years for Rimini Baseball in the Italian Baseball League and won the Italian Championship in 2006. The 33-year-old also pitched 25 times for the Italian Nationalteam and played 2003, 2007 and 2009 at the World Chmapionships. The games against the Eagles will also be very special for Andrea Girasole and Patrick Maier. Both played the last three seasons for the Eagles before returning to the Challengers in 2017. Patrick Zöllig will also give his comeback almost eight years after his last game for the C’s. The games start at 11 a.m. and 2.00 p.m. at the Heerenschürli. The NLB-Team will open its 2017 campaign against the Thun Hunters. The two teams will meet on Sunday, April 23 at the Heerenschürli ballpark. The games will begin at 11 a.m. and 2.00 p.m. 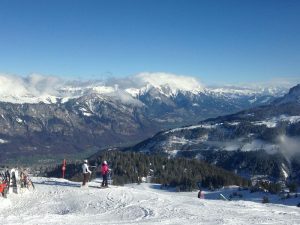 The 2nd Challengers Ski Day took place on Saturday, March 11 at Flumserberge in perfect conditions. The Challengers for once changed the Baseball gear into the skiing or snowboarding equipment. 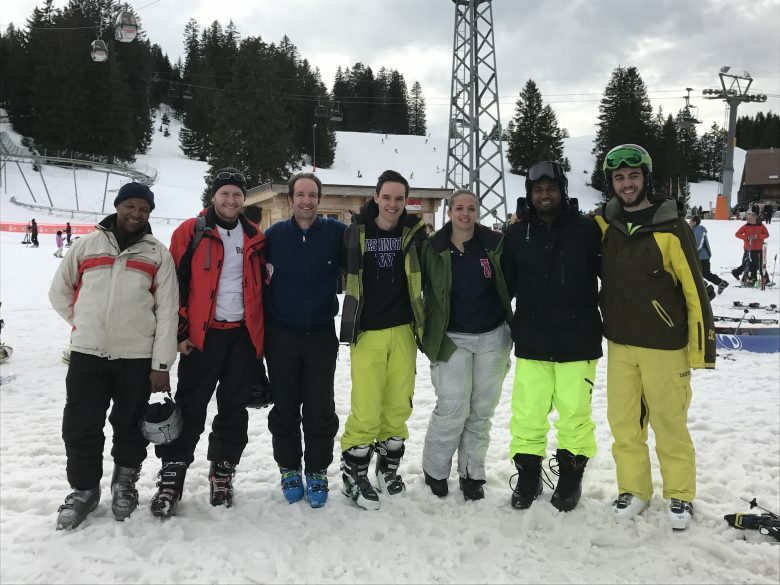 Some took a course for their first runs on a snowboard, while others carved on the ski-slopes at the top of the mountains. The participants of the 20th Zurich Spring Tournament have been announced. The tournament will take place on the weekend of April 8 and 9 at the Heerenschürli ballpark. 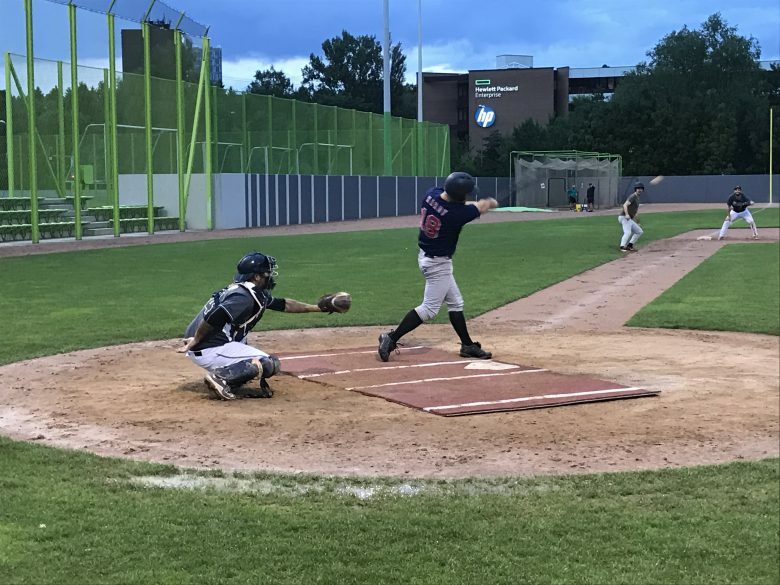 Besides the two hosting teams from the Zürich Barracudas and the Zürich Challengers the defending champions Dominican All Stars and the Herrenberg Wanderers will line up. The Gemans finished in fifth place in the Regionalliga Süd/West in 2016 and will play this year after the reform of the German Baseball Leagues – the Regional League has been deposed for 2017 – in the new 2nd Bundesliga Süd. The games will start on Saturday at 11 a.m. and on Sunday at 10 a.m. at the Heerenschürli. The Challengers U15-Cadets played their second indoor tournament of the winter on Sunday, January 22 at Therwil, after taking part at the indoor tournament at Wil in December. The team of head coach Adrian Kämpfer couldn’t confirm their good performance from the first tournament. Lacking in concentration the C’s lost their first two games against the Flyers and the Kobras. Only in their last game against the winner of the tournament, the Neuenburg Atomics, the C’s played on their regular level. The C’s kept pace with the Germans and still had the chance to win the game in the last inning. At the end the blue and red finished with three losses. The next indoor tournament for the Challengers will take place on Saturday, February 4 at Embrach. The youngest Challengers’ team, the U12-Juveniles, played its first indoor tournament of 2017 on Sunday, January 22 at Therwil. As several key players of the 2016 championship team moved up to the U15 squad, the C’s lined up with a different roster than last year. Especially in the first games the automatisms didn’t work that well, but the Challengers improved their level of play in the course of the tournament. Against the Neuenburg Atomics, who won the tournament, the C’s were even leading 4-2. At the end the Challengers finished the tournament in 3rd place. Like last year we go to the Flumserberge to enjoy the winter. This year’s Challengers ski day will take place on Saturday, March 11. Meeting point is at the valley station of the cable car in Unterterzen, which can be reached comfortably by train from Zurich main station (eg. with the S2 from Zürich HB from: 07.47, to Unterterzen: 08.58). Of course, you can also travel by car and park at the valley station. Snow sports equipment can be rented on site.